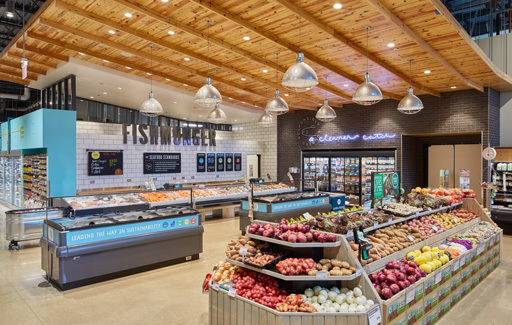 Since 2012, we’ve worked with the Whole Foods Market brand on a variety of store types in multiple regions throughout the U.S.
Our Whole Foods work extends across store locations that are part of mixed-use developments in both suburban shopping centers and urban core projects. 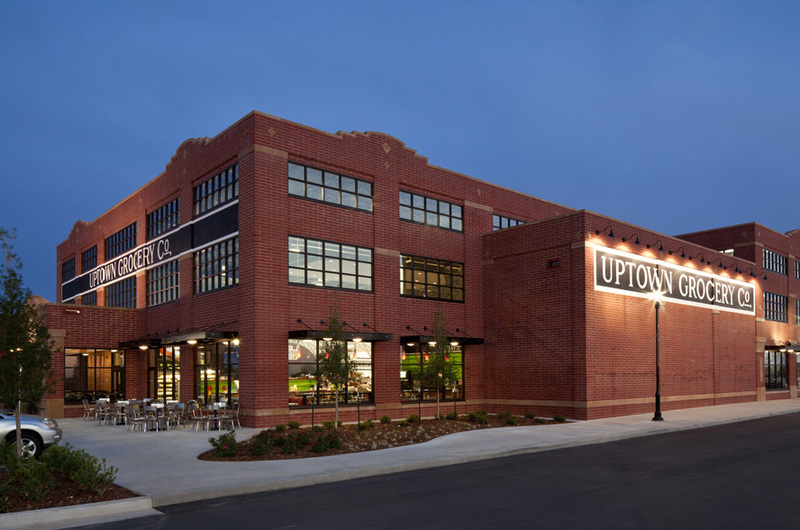 Every store is designed to speak to its surrounding neighborhood, and our team collaborates with developers to coordinate exterior designs and meet Whole Foods’ location-specific goals. Interior store spaces are just as customized with themed architectural elements, interior décor and graphics. Varying amenities like taprooms, dining areas, juice bars, arcades, and indoor/outdoor patio spaces also help enhance store identity and strengthen the store-customer connection.